The Rouge Coco Shine range is described by Chanel as a "hydrating sheer lip shine", a spot on description for this product. 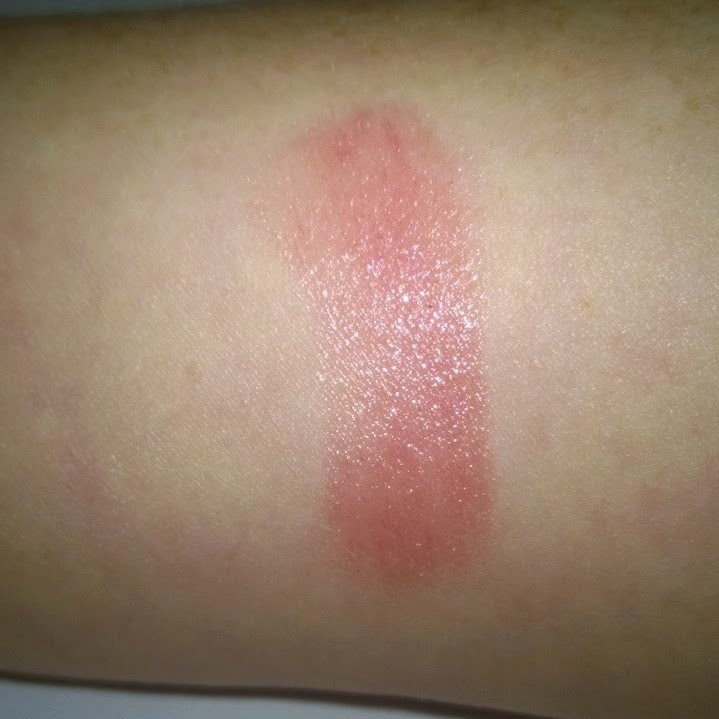 If you're into opaque, full on, good coverage lipstick, this is not the range for you! For me, however, this formula is one my favourites. It's like applying a soft, creamy coloured lipbalm. Even the deeper colours of the range sheer-out on application. If you are a bit apprehensive about wearing a red lip for example, this would be an excellent formula for sporting a red lip in a more sheer, wearable, lower tone, way. The colour I'm talking about today though, my colour, is #54 / Boy. According to the counter manager at my local Chanel, this shade is a best seller. It is one of the most wearable lip shades I've ever seen. In the bullet, it looks like an ordinary, wearable pink but when you apply it, it comes to life. On the lips (or in this case, my arm) the colour translates to a fresh, golden-hued slightly peach-toned pink shade. 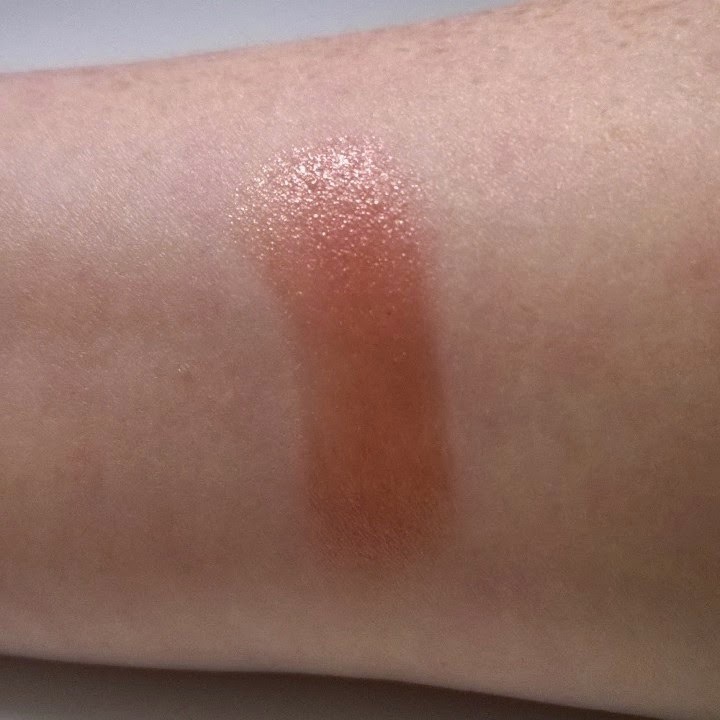 The swatch with flash shows the golden sheen. Both of these are very heavy swatches by the way. Between this sheen and the formula itself, your lips both look and feel hydrated and healthy. This shade works with most makeup looks you throw at it. It works for work. It jives with a deep dark n dirty smokey eye. It's an understated splash of colour for that dash to the petrol station. Given how sheer and creamy the product is, you could put this on in the dark and it would still look perfectly applied. The shape of the bullet itself also helps but it's the formula that's key here. It feels soooo lovely and soft. If you fancy using a lip pencil with it, go right ahead but honestly, there's no need. These were made to "apply and go". 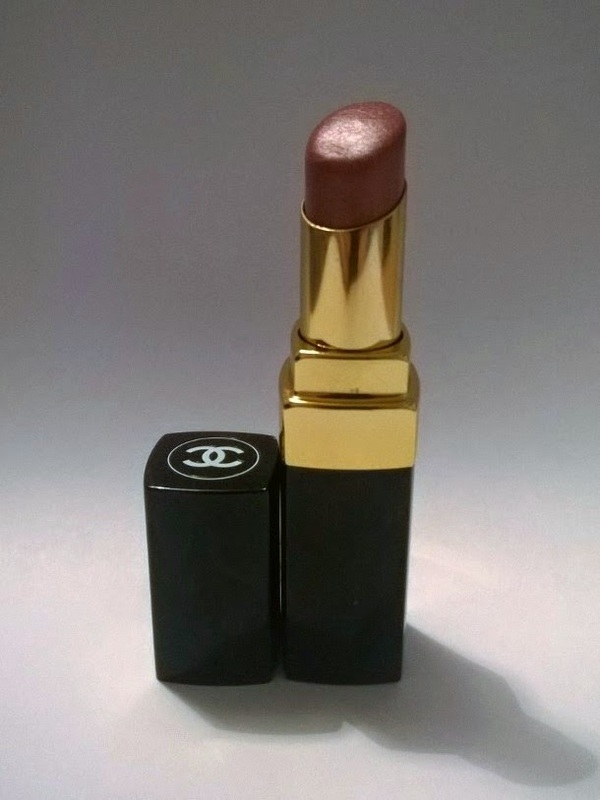 This is my go-to, no-brainer, works-every-time, suits everything, can't-go-wrong, lipstick. I wanted to post about it because I'm on my third one of these, that's how much I like it. Of course, there are pretenders to this throne (YSL Rouge Volupté Shine formula, for one) but for me, as a famous Frenchman pretending to a Scotsman once said: "There can be only one". These'll set you back €28 a pop. Money well spent.